An experienced executive, was seeking to acquire an industrial service business. While acting as a part-time consultant to S.R. Sales, a specialty distributor of obsolete and excess spare parts, the executive approached the owner regarding a potential sale of the business. Through a number of conversations, the executive and the owner were able to find a mutually agreed upon purchase price. The TKO Miller team met with both the executive and the owner to understand each party’s objectives. Through strong relationships with private equity firms across North America, we were able to introduce the executive to a number of interested financial buyers. 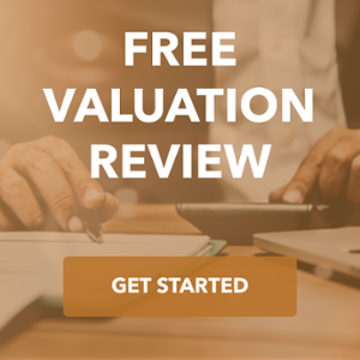 The TKO Miller team was able to find the right financial partner in Trivest Partners. 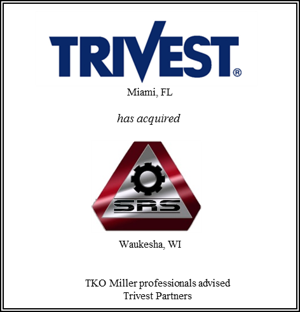 Trivest met each party’s objectives: the purchase price, proposed ownership structure and incentive plans, and was committed to supporting and growing the business. By partnering with the right private equity group, the TKO Miller team was able to structure the best financial package for the executive while simultaneously moving quickly to close the transaction.